Transform your Kadai fire bowl into a wood-fired pizza oven! Make the most of alfresco dining, enjoy the outdoors, and make your Kadai even more versatile with this pizza oven. 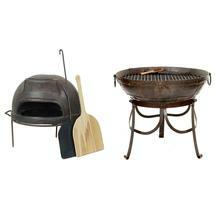 Get that flavoursome, authentic barbecue taste with smoky, wood-fired flavours. 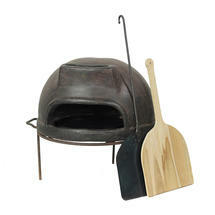 Complete with pizza accessories - a wooden pizza peel and a metal pizza plate. 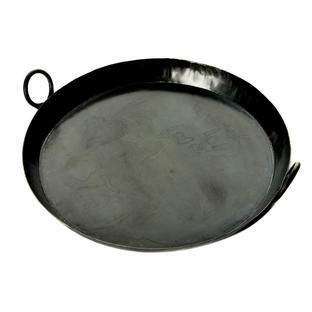 The natural clay pizza oven is designed to be used on a Kadai of 70cm diameter or larger. For your convenience, we have created the 70cm and 80cm Kadai Firebowl and Pizza oven combination sets, offering a reduction in price compared to separate purchasing. 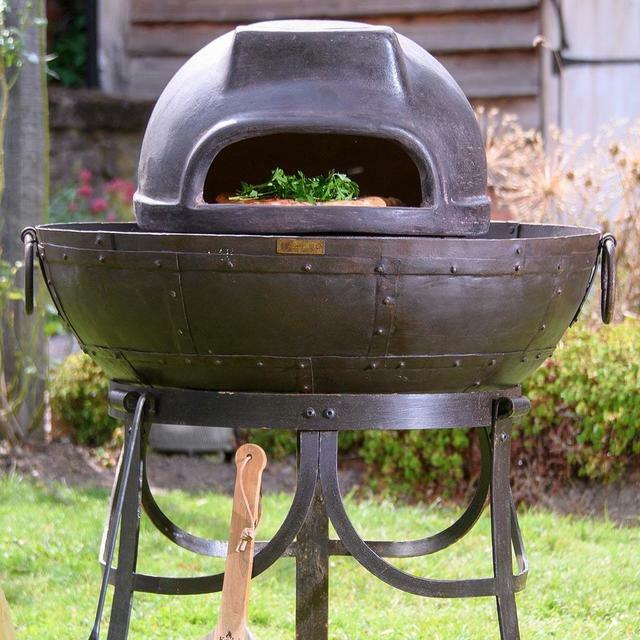 Simply place the pizza oven on its stand in the Kadai; the stand is designed so you can start a fire in the Kadai with the stand and the oven in place. Then start a fire under the pizza oven (see instructions), feed the fire using small hardwood logs until you see flames entering the oven through the cut outs at the sides. Use a thermometer to monitor the temperature to ensure it reaches the correct temperature (see instructions). The pizza oven is now ready to use. So why not add our Kiln dried or Seasoned hardwood logs and Kindling and get started. The oven is made from natural clay. Keep dry and covered when not in use, as the oven will absorb water. 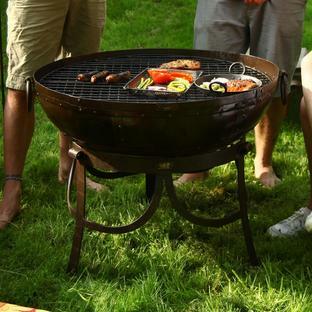 Both sizes of Kadai are complete with 2 stands (a high one and a low one), a grill with a removable centre to allow you to stoke the fire, a set of tongs and a wire cleaning brush. 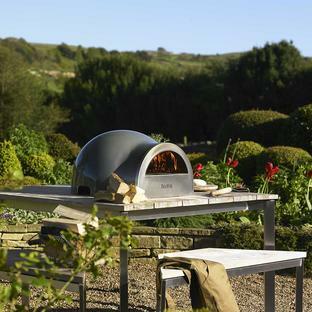 Please note this pizza oven is designed to be used in conjunction with a Kadai of 70cm diameter or larger.